Here are a few of the best spiritual books. Titles that will both inspire and inform your spiritual search, and that make great gifts, too! Many more of great spiritual books are available from the TAT Press. That’s the yearning I’m talking about. No one can give enlightenment to you. The answer is a revelation – unveiled inside you. Revealed through the process best called a spiritual path. There is work to be done. Subtraction: The Simple Math of Enlightenment describes that work through sharing a story peculiar to me: of gurus both truth and false, of love, of loss, of determination and seeming failure. A portrait of a spiritual path both personal and common to all in that I found working principles, meta-practices, that you can apply to your path. I offer this book as a light and inspiration – that there is an answer that will settle your longing, and that someone as full of self-doubt and indecision as me could find it. It was the first book I’ve read on spirituality & seeking that I would call a page-turner. Provides invaluable insights into the spiritual path, and I found them more understandable and practicable because they were presented by example rather than abstractly. A book that makes grace seem possible. Inspiring, challenging, and wonderfully told. Your life is the spiritual path, what you do (action) is what you become, what you become (as opposed to think) is the answer you seek, and the answer is spiritual awakening. How? I recommend a subtractive path. What’s that? Keep reading. A subtractive, deconstructive process is the surest way to successful conclusion of a spiritual path. It was the main piece of the shortcut that Richard Rose said existed. But just what in the world does subtraction on a spiritual path really mean? How could it translate into a viable spiritual practice? How does one follow a subtractive path? That is precisely what this book is about, what it so eloquently reveals, and what it so satisfyingly illustrates, all in a way that frequently reminded me throughout my reading of it, that the author of these pages is also a talented and inspiring poet. 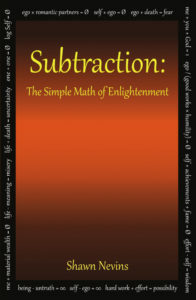 Subtraction means backing away from untruth in all aspects of your life and thought. I had no idea what that meant when I first heard it, but you begin by developing self-honesty in ordinary life. It sounds simple, but we are masters of self-deception, especially when our self-image is assailed through fear, embarrassment, guilt, and shame. The book will save you time and give you ideas for applying this method, and several others, to your spiritual search. From fasting to falling in love, teaching kids to 30-day solitary retreats, a Zen master in West Virginia to an Indian guru in Germany, and a dozen other adventures and misadventures, Subtraction presents a wholehearted search for God, the real self, our true nature, spiritual awakening, or whatever you want to call that splinter in your mind which won’t let you rest until you find the answer. The Answer To How Is Yes: Acting on what matters by Peter Block: I can’t keep this book out of my mind. While half of it is devoted to organizational change, the first half of the book is a call to ask the profound questions of life and allow those questions to guide our actions. 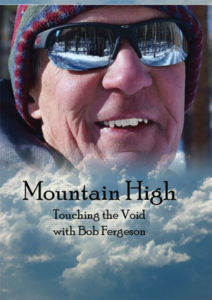 This is not a guide to the spiritual search, but is filled with clues about how we limit our potential. One of the chief ways is to focus on “how” questions whenever we begin to consider change. How do you do it? How much does it cost? How long will it take? Considered too early, those questions derail our initiative and are symptomatic of fear. “What is the question that, if you had the answer, would set you free?” is what Block calls the mother of all questions. I think that spiritual seekers often fail to keep that question in front of their mind. The question will differ from person to person and change over time, but its remembrance has the power to keep us from waivering even in the darkest night of the soul. Lest I create the wrong impression, Peter Block doesn’t talk about the spiritual search in The Answer To How Is Yes, but those are the sort of realizations his book inspires. It’s a book about human nature, how we thwart ourselves, and organizational nature, our wrong assumptions about the source of power and freedom in our workplace lives. As a lover of the spiritual fully engaged in the world of work, I recommend it on both counts.